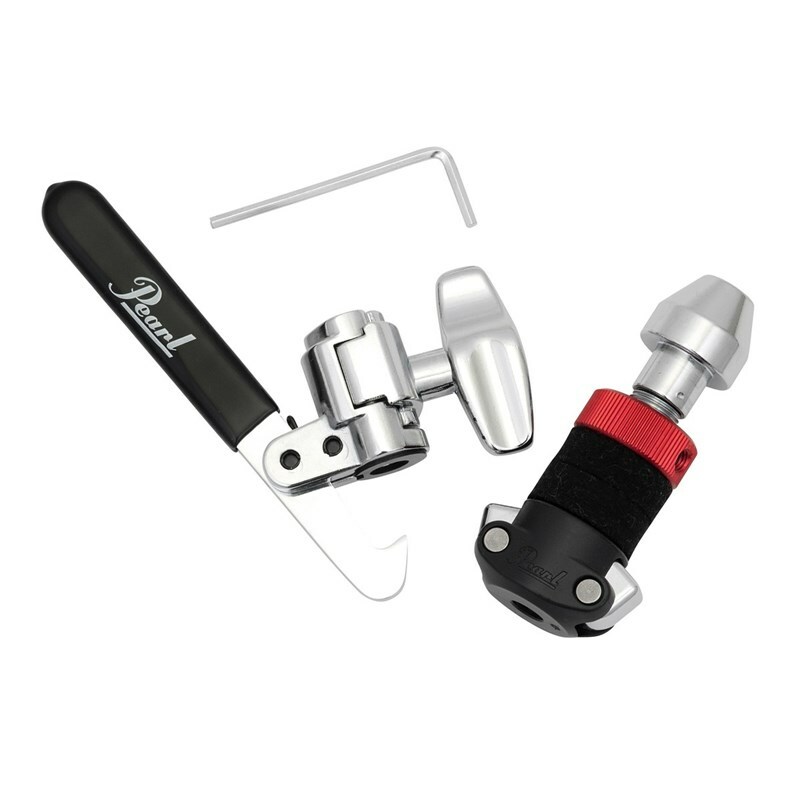 The Pearl HCL-205DQR Rapid Lock Hi-Hat Drop Clutch is a high-quality drop-clutch from Pearl, featuring durable felt washers and a rapid lock/release fastener for quick and easy cymbal changing. The HCL-205DQR clutch features a drop-style design, meaning the top hi-hat can be opened and closed without using the foot pedal, especially useful for dual bass drum and pedal setups. The spring-loaded dual fastening system allows you to disengage the rapid lock from the main clutch with ease, resulting in smooth, easy breakdown and setup of the top hi-hat. The felt washers minimise interference with the cymbals themselves, ensuring you get the same great sound without the inconvenience of losing your hi-hats. Ideal for players who demand reliable and consistent hi-hat performance throughout their sessions, the Pearl HCL-205QR Rapid Lock Hi-Hat Clutch is the perfect upgrade from any default hi-hat clutch.